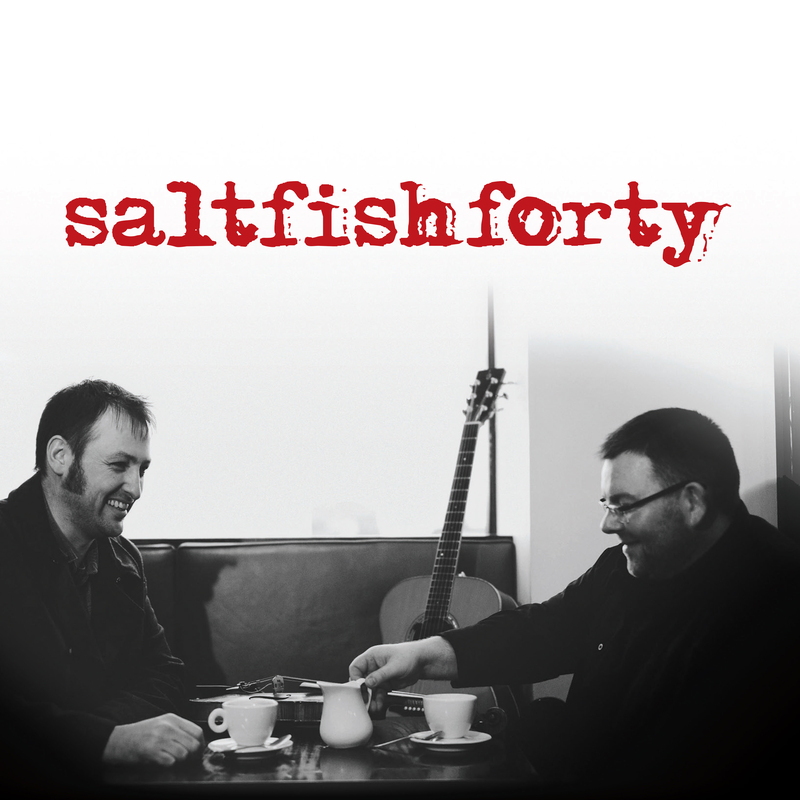 Saltfishforty are a fresh and dynamic duo hailing from the Orkney Islands in the north of Scotland. 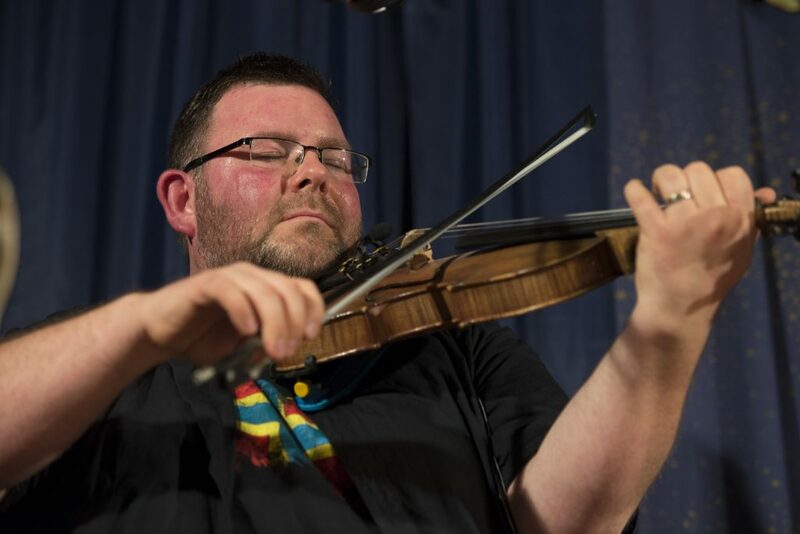 Douglas Montgomery (fiddle/viola) and Brian Cromarty (songs/guitar/mandola) combine the rich traditional music of Orkney with original compositions. 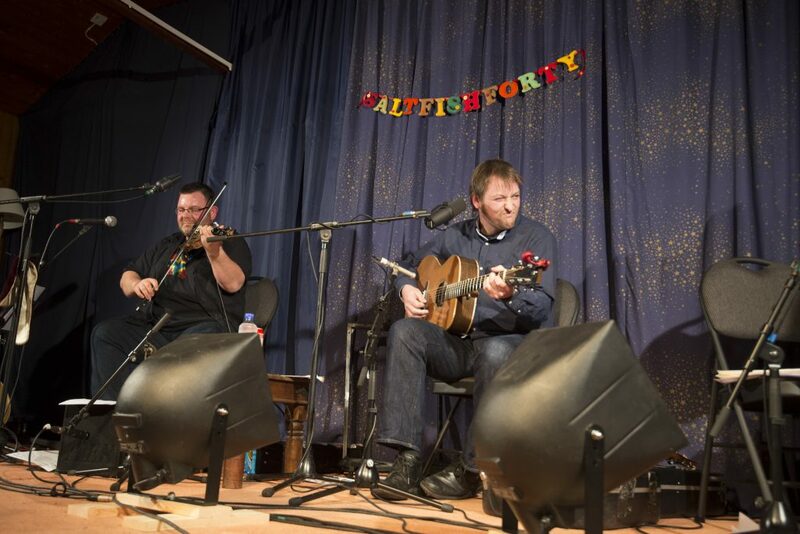 The duo have four previous albums to their name: LIVE (2013), Netherbow (2010), Orkney Twister (2005) and Goose Music (2003). ‘Bere’ is Salfishforty’s latest album. Bere is a six-row barley unique to Orkney. It has been grown in Orkney for thousands of years, and is a staple in the form of bere bannocks and home brewed ale (both most excellent served with saltfish). It’s thought to have been brought to Orkney by the vikings in the 8th century. A distinct island harvest, synonymous with good home fare, and a nod to their Scandinavian ancestry – the story of bere chimed with the music they grew up with, and the sound and identity they aspire to. They liked the sound of the word too, relating as it does, to the stripped back approach they’ve taken on this album. The collection of songs and tunes on Bere showcases the diversity of musical influences in our islands. Scottish tunes with a Scandinavian twang, lilting rhythms that reflect the rolling island landscape and gentle dialect. Shot through with hints of jazz, swing and blues. 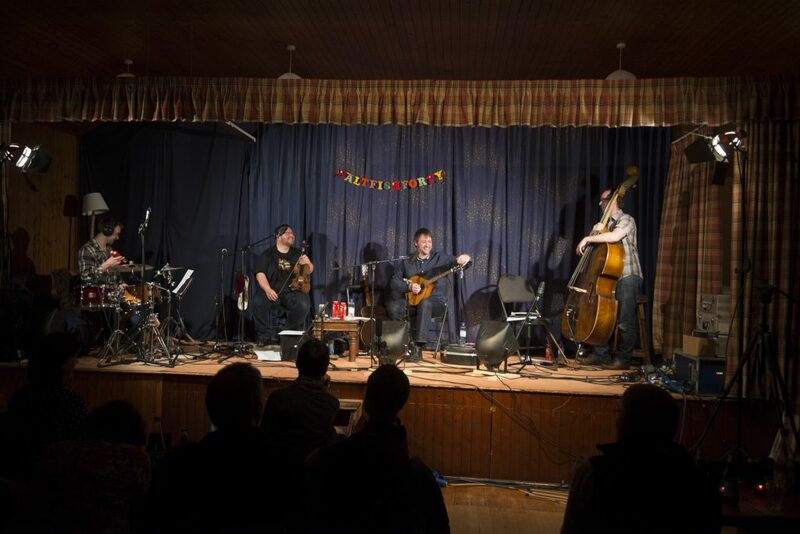 At the centre of a North Atlantic crossroads, Orkney has imported and exported musical influence aplenty. For every tune that made it across the Atlantic, two or three came back. This mixing of genres is integral to the Saltfishforty sound – traditional at heart but with enough grunt to see the band as regulars at both local Rock and Blues festivals. 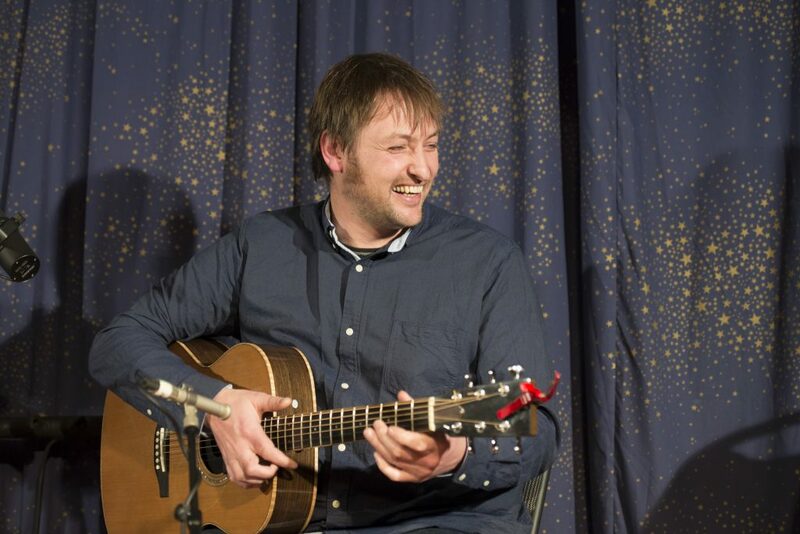 There are five songs on Bere, including a ‘salted’ version of Old Man Luedecke’s Tender is the Night, swing classic You’re Tired of Me and two originals, The Odin Stone – the true story of a monumental act of vandalism on Orkney’s standing stones, and The Jack Snipe: In the 1960s, a retired trawler skipper made a deathbed confession, revealing the fate of the Orkney schooner Jack Snipe and her crew in 1907. The last album was recorded with a band, so for this one they were keen to get back to basics, to playing as a duo, and to a sound that can be recreated in a concert setting. To that end, they challenged themselves to record the whole thing very quickly (in two days at the fantastic Castlesound Studios in Pencaitland), to capture the immediacy, impact and excitement of their live performance in the studio setting.